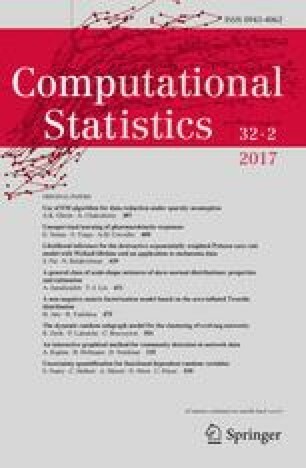 This paper proposes a new methodology to model uncertainties associated with functional random variables. This methodology allows to deal simultaneously with several dependent functional variables and to address the specific case where these variables are linked to a vectorial variable, called covariate. In this case, the proposed uncertainty modelling methodology has two objectives: to retain both the most important features of the functional variables and their features which are the most correlated to the covariate. This methodology is composed of two steps. First, the functional variables are decomposed on a functional basis. To deal simultaneously with several dependent functional variables, a Simultaneous Partial Least Squares algorithm is proposed to estimate this basis. Second, the joint probability density function of the coefficients selected in the decomposition is modelled by a Gaussian mixture model. A new sparse method based on a Lasso penalization algorithm is proposed to estimate the Gaussian mixture model parameters and reduce their number. Several criteria are introduced to assess the methodology performance: its ability to approximate the functional variables probability distribution, their dependence structure and their features which explain the covariate. Finally, the whole methodology is applied on a simulated example and on a nuclear reliability test case.